Dental Debt Collection Agencies - When Is It Time To Outsource? 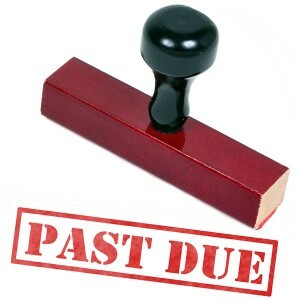 On a daily basis, dental offices are having problems collecting patient bills which go into accounts receivable. Whether you can’t find the patient, you can’t get in touch with their insurer, or they are simply ignoring you due to inability to pay an account, dental debt collection agencies can step in to help. But, when is it the right time to outsource your account receivable to a dental collection agency? These are a few factors to keep in mind, if you are having troubles collecting on accounts, and can’t reach certain patients. For some, turning to dental debt collection agencies after about 4 months (or 120 days), it might be time to write off a patient, and try to work with a collection agency. Certain agencies advise that after a period of 2 to 3 months (60 to 90 days), it might be time to rely on a third party agency to help you collect on bills. Why? For the most part, after this time has elapsed you aren’t going to be able to reach the patient. The sooner you turn to a collection agency, the higher the likelihood of finding the patient, getting them to pay at least a portion of the bill, and collecting on accounts you thought might be closed for good. What Size Balance Should I Send To Debt Collection Agencies? Again, this will vary from practice to practice. But, if a bill is in collections, which is $75 to $100, or higher, it might be advisable to work with third party dental debt collection agencies professional service provider. Most agencies will not accept patient bills of smaller amounts, due to the amount of time, work, resources, and effort, required to go after the patient. So, if your practice simply has several small accounts which are overdue, it might be advisable to write them off. On the other hand, if you have several patients which are delinquent, with excessive bill amounts, a collection agency can step in to help. Who is responsible for the unpaid bills? It is important you have all relevant and up to date information about a patient, prior to turning the bills over to dental debt collection agencies. From their address and phone number, to social security number, and insurers if they are insured. The more information your practice has, the easier it is going to be for a collection agency to not only track the patient down, but also to get the bill paid off. Further, if you have several notices sent out to patients, and have made attempts to collect in the past, giving this information to the collection agency is also going to provide them with accurate information about all efforts which have been made, in an effort to collect on overdue accounts. Depending on the amount of patient bills which are overdue, how long they have been past due, and the efforts your practice has made in the past, the right dental debt collection agencies are going to be able to step in to assist you, and at least collect on a portion of the bill amount. Not all patients will pay the account, and in many cases, only partial payments will be made. But the right collection agency is going to prove to be your best ally to receive at least a portion of the total amount your practice has lost. If your dental practice has delinquent accounts, it might be time to work with dental debt collection agencies to help you collect on past due accounts. This is where we can help! Fill out the form below to provide us with information about past due patient bills, efforts which were made to collect, and all other patient payment information, so we can determine what the best option is for you, and whether or not we can work with you to collect on patient bills. Fill out the short form below today, so that we can begin the process, find out the best collection options, and help your dental practice collect on the past due patient bills which are in collections. Ready to find the right dental debt collection agencies? Click the button below and get a free dental debt collection agencies quote today. After all, you can keep doing what you’re doing (and hope for a different result), or you can work with a collection agency that can help you recover what’s rightfully yours.